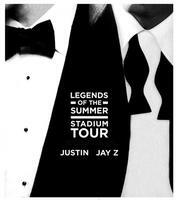 Enter to win a pair of Justin Timberlake & Jay-Z "On the Field" tickets at Fenway Park!!! This RSVP is considered (1) entry into our Justin Timberlake & JAY-Z "On the Field" ticket giveaway. One luck winner willl win a pair of "On the Field" tickets to see the duo perform at Fenway Park on Saturday August 10th. Limited to one entry per person, per email, per day. Winner will be chosen by a random drawing of names submitted by Thurs. August 9th 2013. 0 Response to "Contest: Tix to JayZ & JT"